When pop music is this good it’s charms are flat out undeniable. Hands down this is a superb debut for Gomez as a solo artist. With her birthday the day before this cd release July 23, what more could her fans wish for. But that’s just the start. The killer guitar hook that pumps at the heat of Slow Down gives way to Gomez’ best vocal on the title track. In fact Stars Dance (the song) is probably one of the top 5 pop songs of the last few years. Come And Get It (the first single) is a monster track already but songs like Write Your Name, the Coldplay feel of Forget Forever and the mid tempo piano number Love Will Remember are downright tuneful. Love Will Remember written about her relationship with Justin Bieber digs deep and gets squarely to the point with conviction and emotion. The feeling throughout Stars Dance is of letting go and high spirits. If Gomez wanted to make a pop statement then she has. Britney Spears is surely smiling. This album is important. 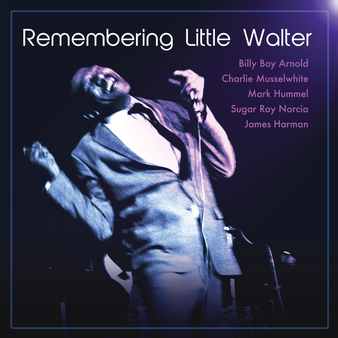 The reason being, it will introduce a whole new audience to Little Walter’s music. You have to remember this is blues music that is hugely accessible. Heck, even my wife likes this blues album. Elsewhere Billy Boy Arnold continues his huge comeback with a gorgeous rip roaring take on Your So Fine, while Sugar Ray Norcia really lets you feel the barroom vibe of Mean Old World. There is not a weak track on this disc which features a closeout stomp on My Babe. have a few “pop’s and let this rip on your summer patio.